The answer is there isn’t really a single answer. As with petrol or diesel cars the real question to ask is, “what’s the best electric car for me?” Everyone has different needs and tastes, and the car that works best for me might not fit your lifestyle at all. This applies even more to electric vehicles than to most other consumer goods. There are a few questions you should first ask yourself to narrow the set of electric cars you are considering. 1. How much can you spend a month for your car? Budget seems obvious, but you should also keep in mind the savings in fuel and maintenance relative to a petrol or diesel car. As well as reduced road tax and grants that you may qualify for. When you take these into account, you might be able to afford more EV than you initially thought. There are also some great deals on used EVs. 2. How far do you generally drive each day? 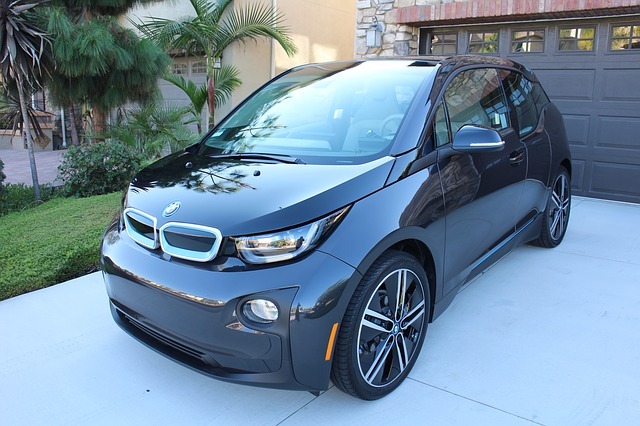 You’ll want to make sure that your EV can comfortably accommodate your typical daily drive. The average UK drive to work and back is about 26 miles, round trip, which is well within the range of every EV. If you are looking at plug-in hybrids, make sure the electric range covers your daily drive, otherwise you’ll end up annoyed that you are doing most of your driving on petrol. 3. Will there be another car in your household? This question is really important. In a two car household with one EV and one diesel, petrol (or plug-in hybrid) car, the EV can be used for trips around town and the other car can go on road trips. In this case, the range of the EV is much less critical, because you’ll be using it mostly for short trips. For example, my Nissan LEAF has a range of 85 miles, but because we generally drive it 25-35 miles a day, it wouldn’t matter (at least on a day-to-day basis) if the range were 500 miles, we’d still be driving it 25-35 miles. 4. What is your charging situation? Big question. Will you be able to charge at home? Will you be able to charge at work? With an electric car, you need to be sure you have consistent access to charging. With a plug-in hybrid, you have a bit more flexibility, but you want to have some idea of where you will charge to maximize your electric miles. If you live in an apartment without existing chargers or access to an electrical outlet, things can get more complicated, but not insurmountable. Manufacturers like KEBA make EV charging stations which are well suited for installation in apartment block car parks. These charging stations help balance the available power so several EVs can be charged at one time. 5. How often do you go on long trips? If you have never driven up and down the country, or across Europe then you probably don’t need to buy a car that accommodates cross-country trips, just in case. But if you really do drive to your holiday home in Cornwall, then you need to think about that. Do you need a car that accommodates those trips or are you comfortable renting a car or making some other arrangement? 6. How much space do you need? Do you need a back seat that holds 2 or 3 or zero? There are some great EVs with tiny back seats, which works for some people, but not for others. How much boot or luggage space do you realistically need? Once you have given these questions some serious thought, you will be left with a short list of options that fit your needs. Then, go and take some fun test drives and find the car that best fits your taste and needs.